Sun comes up behind Frankfurt’s main railway station, May 5, after German train engine drivers downed their tools in the current wage bargaining and went on a six-day strike – the longest in the history of German railways. 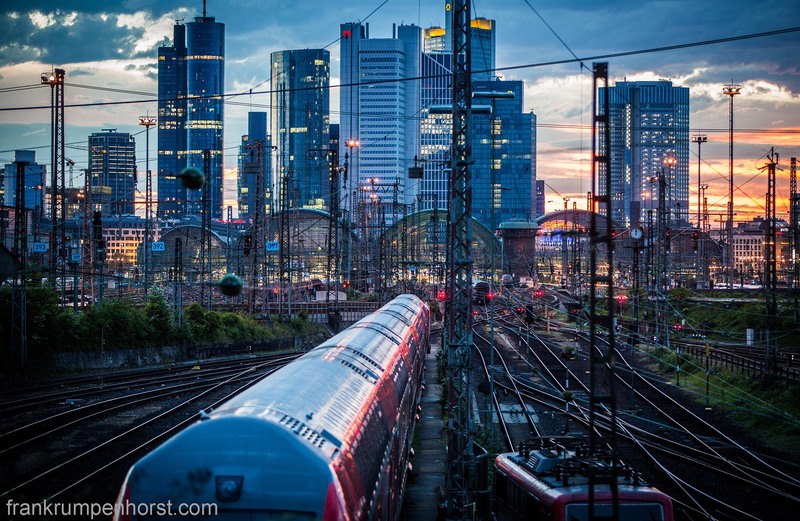 This entry was posted in germany, Photo, Photography, railway, trade unions and tagged atmosphere, banks, Frankfurt, gdl, morning, railway, railways, skyline, skyscrapers, strike, train, train drivers, train station. Bookmark the permalink.